No known provenience. Tag illegible. 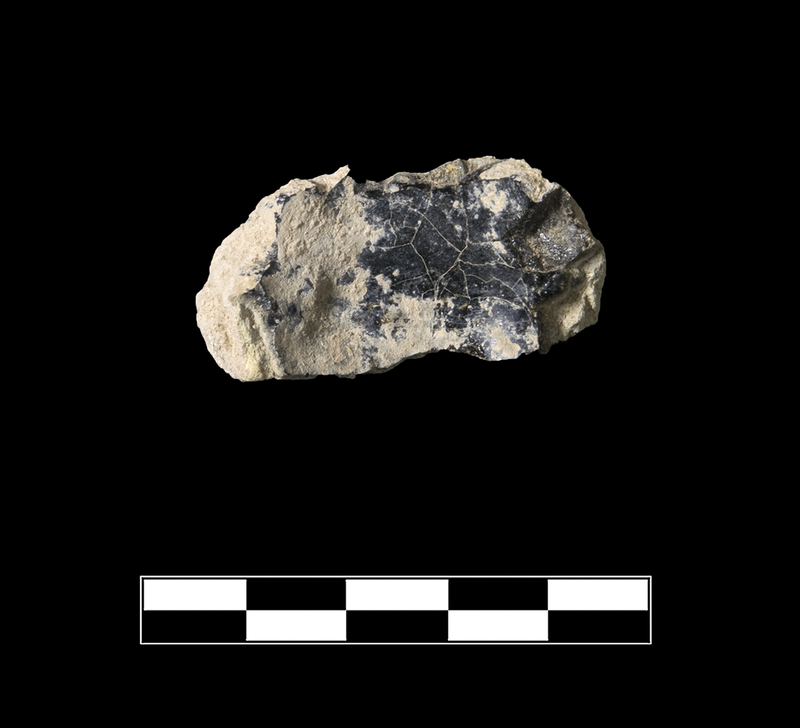 One fragment of brick-like terracotta with one narrowly concave surface covered with a thin layer of glass (Th 0.0037 m). Glass crucible? tubular channel? Cf. KTH108a-e, KTH110a-c, KTH128, KTH150, KTH2116. Brittle, light buff fabric with rare to uncommon, small, subrounded, white and red and few gray inclusions. Glass, shiny and uneven with many small holes from burst bubbles (rapidly cooled), ranges in colors from orange-brown (PMS 7552C) to black. 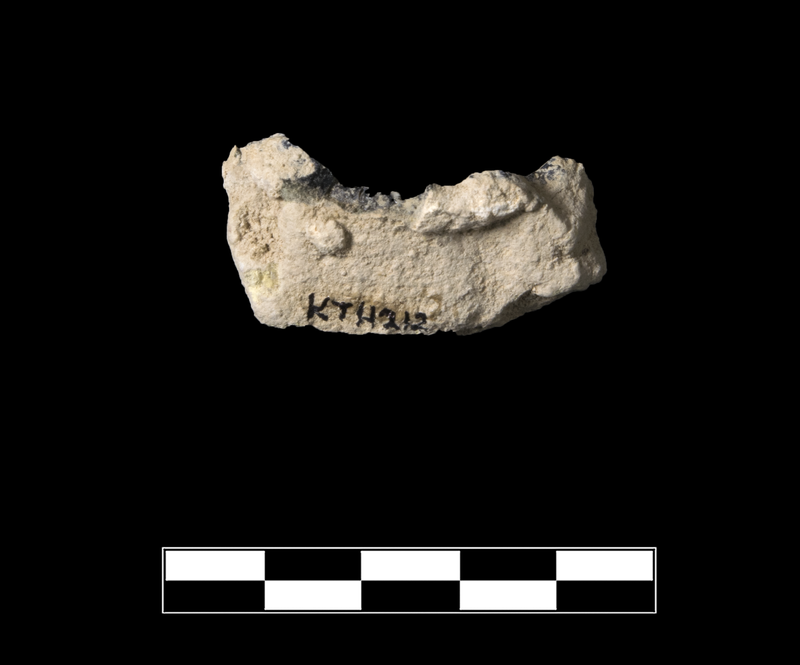 One small, irregular fragment roughly triangular in section. Glass shows craquelure. Slight, sparse abrasion; thick, extensive encrustation especially on glass.